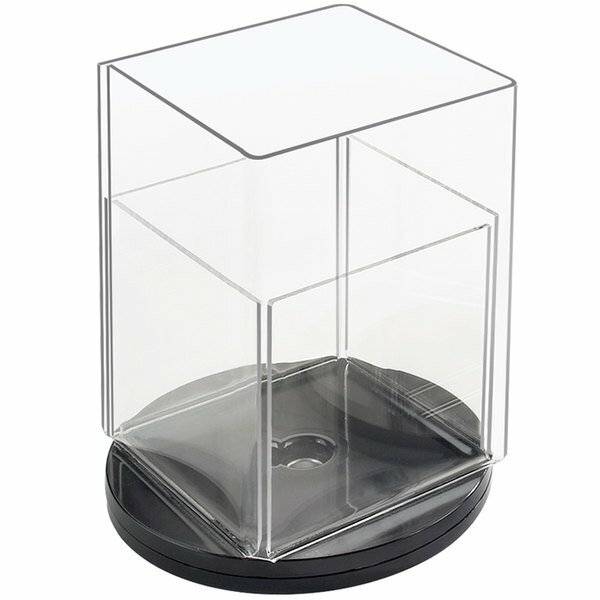 Cal-Mil 530 Square Turntable Displayette - 4" x 6"
Insert Size 4" x 6"
Highlight your dinner and drink specials, decadent dessert options, or upcoming events with this crystal-clear Cal-Mil 530 square turntable displayette. The crystal-clear square displayette sits on a "Lazy Susan" style rotating base that draws attention to your colorful displays from any angle. It's easy to slide in or remove cards to customize and change up the rotating display at your bar, cafe, or restaurant to give your customers a full taste of your mouth-watering specials or exciting upcoming events! Accepts 4" x 6" inserts. Cal-Mil 507 Triangle Turntable Displayette - 4" x 6"